Coopers Creek Vineyard has been crafting award-winning fine wines at their Kumeu winery for over three decades. New Zealand’s favourite styles: Sauvignon Blanc, Chardonnay, Riesling, Pinot Gris, Pinot Noir and Bordeaux reds, and intriguing emerging varietals for wine lovers around the world. Albariño in particular, along with Arneis, Viognier, Malbec, Chardonnay (and even such rarities as Fiano, Vermentino and Lagrein,) are all sourced from the Hexton vineyard of specialist Gisborne growers Delwyn and Doug Bell. 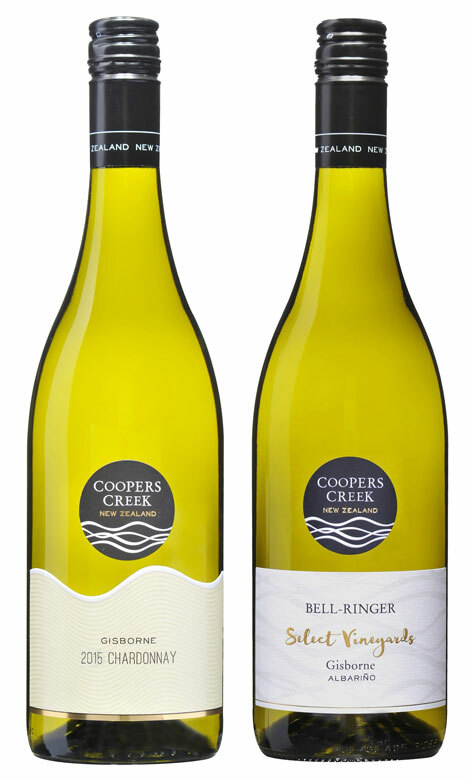 Coopers Creek also owns or leases vineyards in the Hawke’s Bay and Auckland, as well as sourcing grapes from Marlborough and Central Otago. Winemaker Simon Nunns crafts a set of highly awarded wines that are attractive, inspiring and stylish, in addition to truly expressing their origins.